I have a new nighttime obsession. 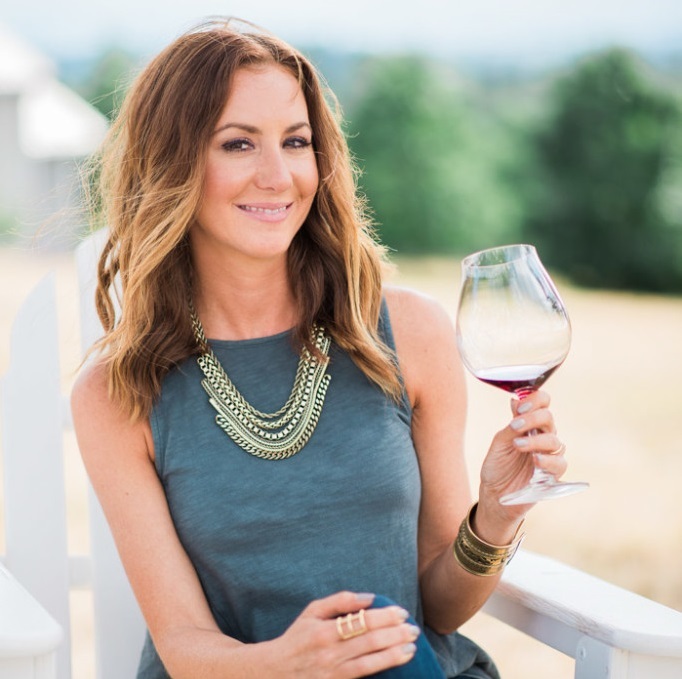 No, it’s not the newest season of the Real Housewives. It’s this Golden Milk Latte. It’s warm, creamy and delicious, and flavored with vanilla, cinnamon and ginger. It’s basically like a hug in a mug. But the best part of this Golden Milk Latte? 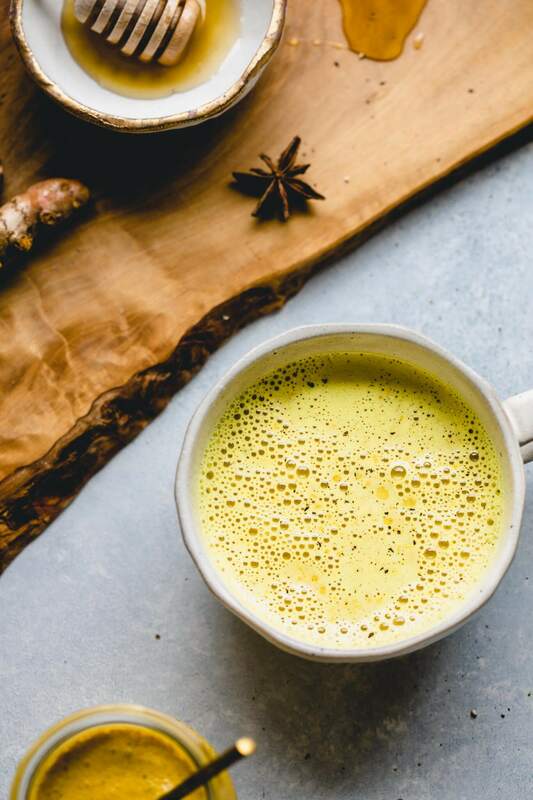 It’s super healthy for you because the same thing that gives this Golden Latte its stunning color is also packed with loads of health benefits. Turmeric. 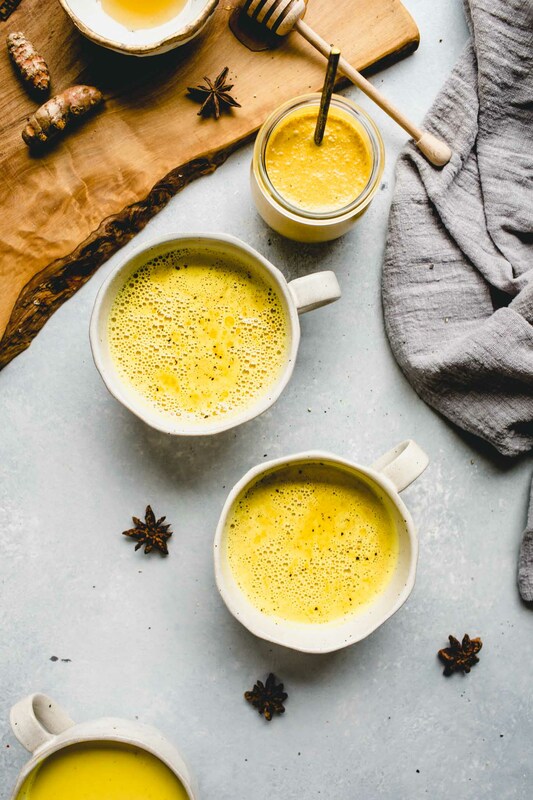 What Does Golden Milk Taste Like? Golden milk tastes rich and creamy and is delicately spiced. It’s a bit like eggnog or even a bowl of brown sugar oatmeal. The cinnamon really shines through, as does the vanilla. 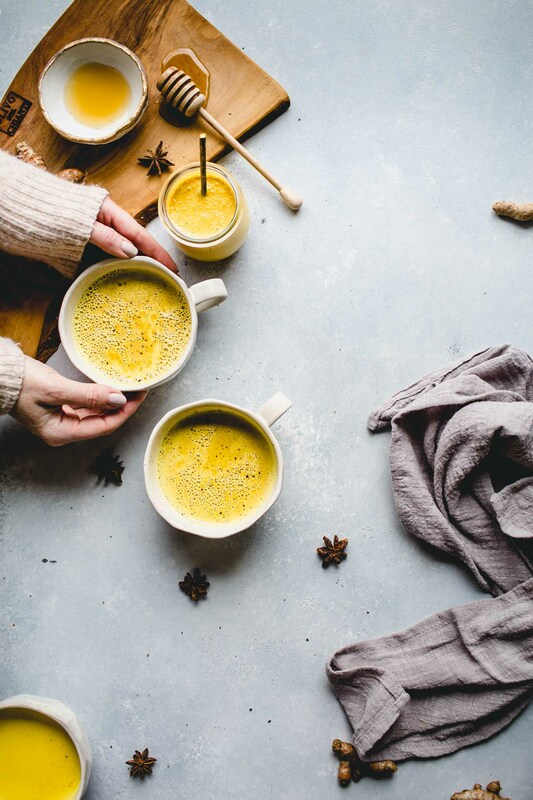 To make this Golden Milk Latte, I first create a concentrate with coconut milk, honey, turmeric, vanilla, ginger, cinnamon and black pepper. That way, when I want to enjoy a cup, all I have to do is add four tablespoons to a cup of milk and stir. 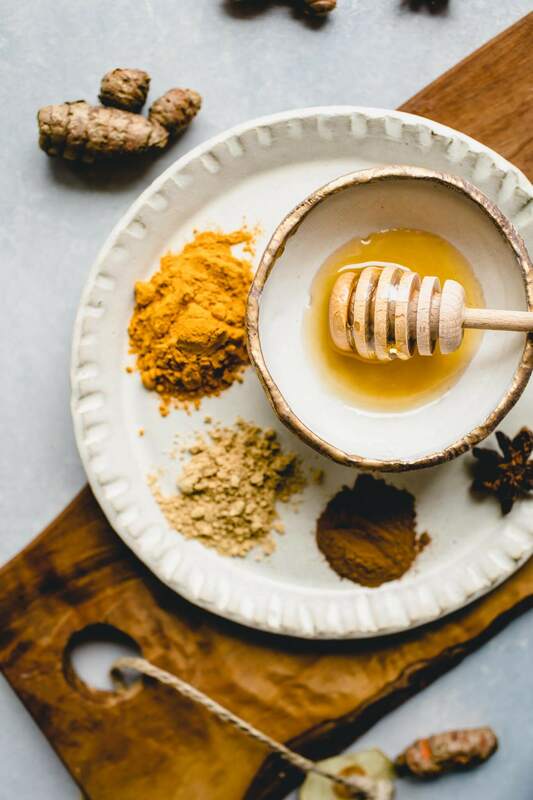 I love combining the golden milk concentrate with Bolthouse Farms® Vanilla Plant Protein Milk for even more vanilla flavor and added health benefits. Their Plant Protein Milk is a non-dairy plant-based milk made with pea protein. It boasts 50% more calcium than dairy milk and a whopping 10 grams of protein per serving. Look for it in the refrigerated natural foods section at Fred Meyer. Why Black Pepper in Golden Milk Latte? 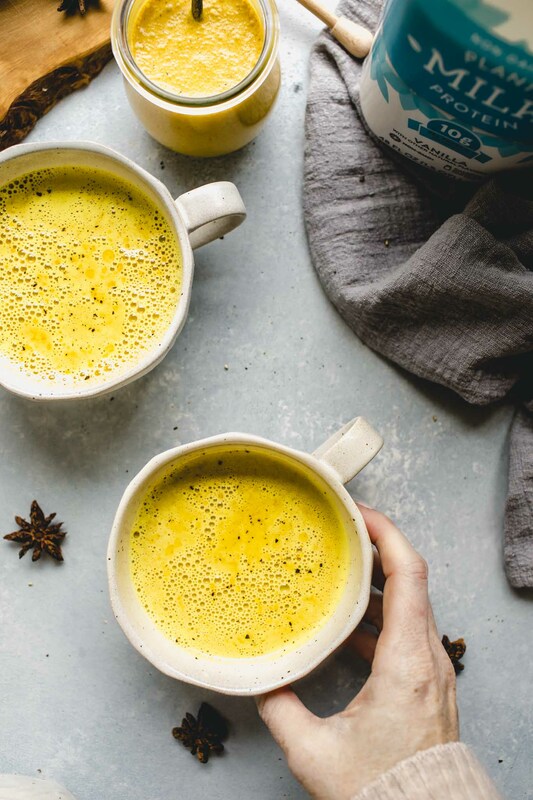 Adding black pepper to golden milk actually increases your body’s ability to absorb the active ingredient in turmeric, curcumin. How Long Does Golden Milk Last? This golden milk latte concentrate will last in the fridge for up to five days. I prefer to use full-fat coconut milk in this Golden Milk Latte recipe. When opening the can, be sure to shake it first so that the solids and liquids combine. You will have leftover coconut milk after making the turmeric concentrate. You can either add the coconut milk to your coffee in the morning, or you can freeze it. Note that the coconut milk will separate when frozen. Simply use a blender or immersion blender to re-emulsify it. Whisk mix ingredients together until well combined. When ready to serve, blend or whisk 4 Tablespoons mix with 1 cup milk. Serve warm or chilled. Makes 1 1/4 cups concentrate, enough for five Golden Milk Lattes. Store mix in the refrigerator, for up to 5 days. 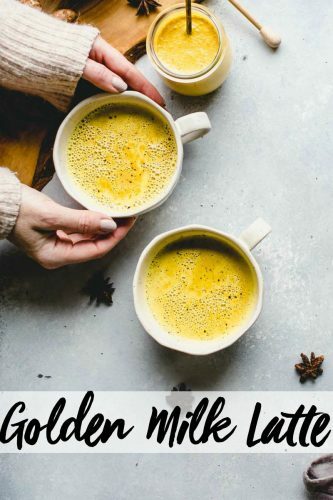 If you loved this Golden Milk Latte I would appreciate it so much if you would give this recipe a star review! Also, be sure to snap a picture of your finished latte and share it with me on Instagram using the hashtag #platingsandpairings and tagging me @platingsandpairings. This post was is in sponsorship with Kroger and Bolthouse Farms. All opinions expressed on my site are my own. This golden milk latte is SO PRETTY. I don’t know how I feel about drinking turmeric, but maybe I should get behind it because of all the health benefits. Love golden milk recipes using canned coconut milk! Much more decadent! Thanks Amanda! It really is a perfect night time treat! Even though golden milk has been popular for some time now, I’ve never tried making my own at home. Using coconut milk sounds delicious, and I can easily veganize the recipe with agave or maple syrup. Yum — thanks for sharing!